Do kids still like Minecraft? In a world where you can play Fortnite online with your friends on anything with a screen, does anyone still have time for the game where you can starve to death while playing with digital Lego bricks? 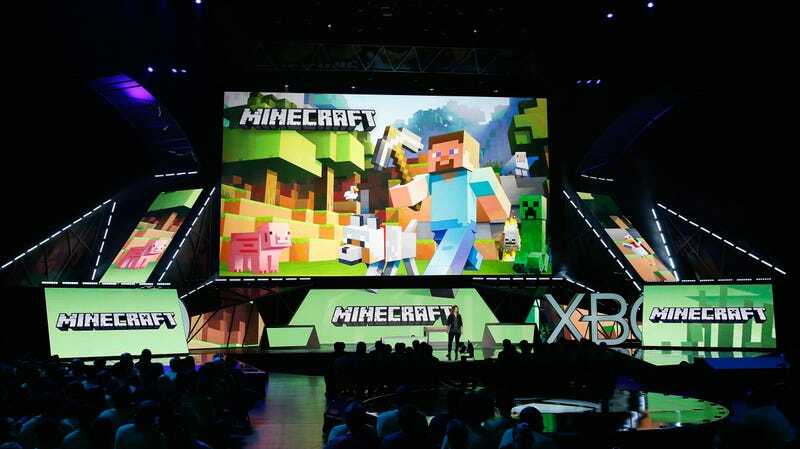 More importantly, will kids still like Minecraft in 2022? Because that’s when the oft-delayed Minecraft movie will be hitting theaters, with Variety reporting that the game developers at Mojang announced that the movie will be released in March 4, 2022, with a tongue-in-cheek statement about it’s “only 1,053 days” or “34 months, or 150 weeks, or a million and a half minutes.” The Minecraft movies, which will be some kind of live-action adaptation of the game, will be directed by Nick & Norah’s Infinite Playlist director Peter Sollett, who signed on back in January (replacing Rob McElhenney from It’s Always Sunny In Philadelphia, who was attached years ago and always seemed like a bizarre choice). Anyway, that 2022 release date does seem really far off, but at least by then the kids of the people who really liked Minecraft when it first launched will be old enough to go see it. That’ll be fun. Will there even be movie theaters in 2022?